I love baking. Baking bread when we have 15 inches of snow on the ground is the best activity happening in my kitchen. So yesterday, as the snow was falling, I took my brioche pan out. 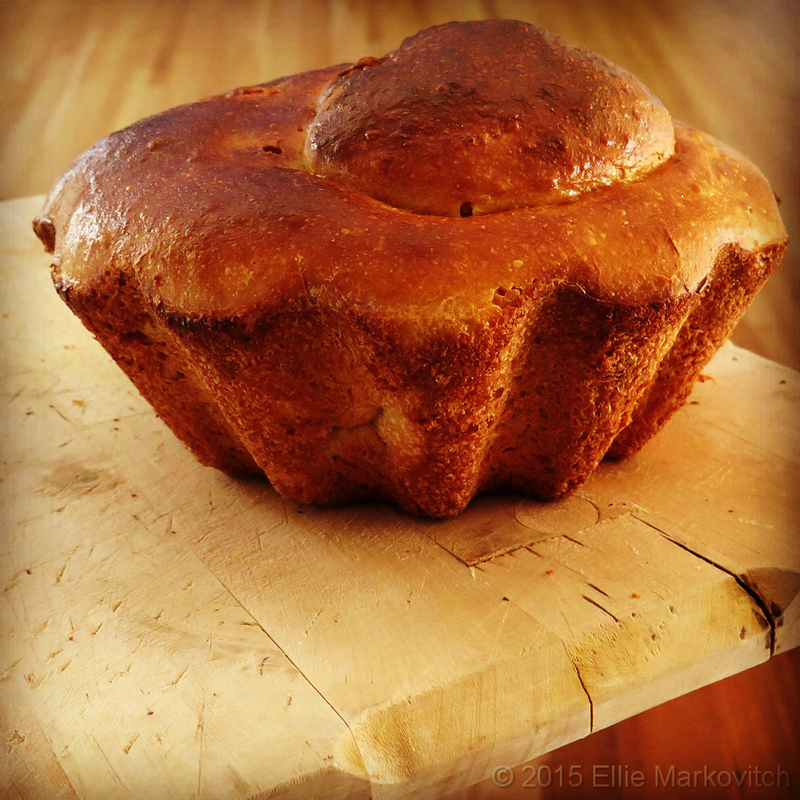 I got it when we lived in France because the first time I tasted “Brioche à tête ” I knew I had to learn to make it. Today’s version is not the traditional recipe. 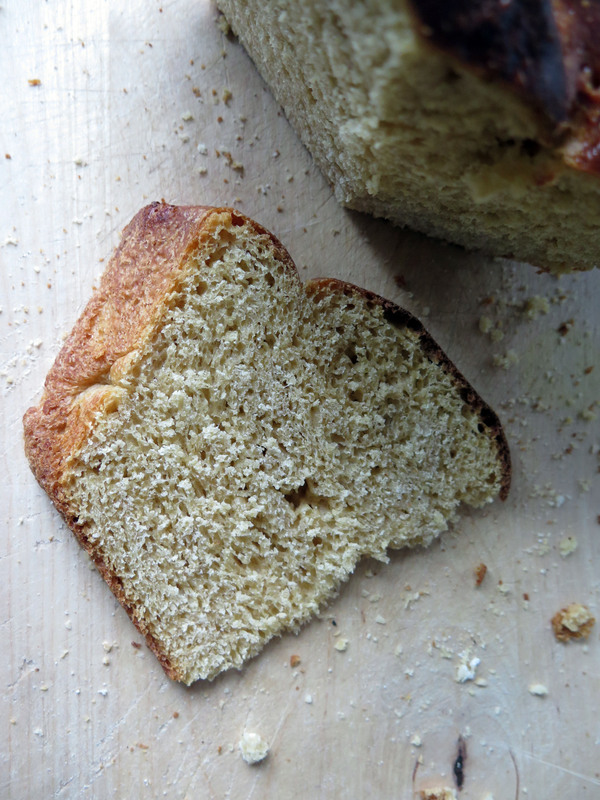 It is a recipe that has the ingredients and methods I have been experimenting with — whole grains and no-knead using sourdough starter. Add liquids and stir until combined. Use some flour and shape into a ball. The dough was wet but not runny and not too dense. It held the shape pretty well. Transfer to a oiled bowl covered with plastic. Let is double in a warm place. I started in the afternoon and this loaf took 18 hours. Let it rest 10-15 minutes and remove from the pan. Serve warm or room temperature. Second try, shaped into rolls– delicious! Oh man! 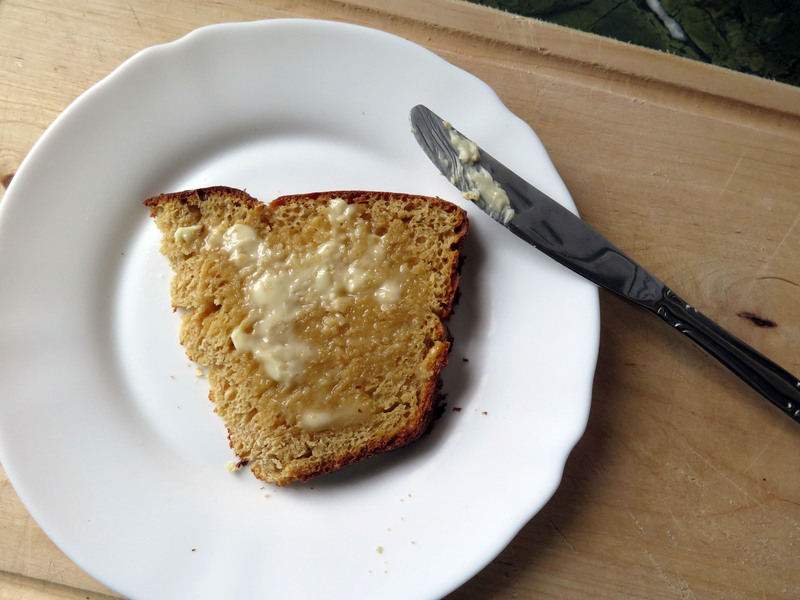 I was just thinking about making brioche and wondering if whole wheat would work. Looks amazing! Thank you! Hope you will enjoy them!